A wealth of books for readers of all ages about school, learning, friendship, and getting along in the world—an ongoing lesson for most of us. About the book: In a series of simple yet evocative questions, this impactful book asks children how they will show kindness and consideration for others. Written by the editors of Pajama Press, and illustrated by celebrated Pajama Press artists, these stunning pages inspire meaningful discussion and storytelling about the understated yet powerful ways in which children might influence the world around them. 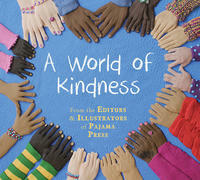 A World of Kindess goes beyond mere rhetoric to examine, in a child-friendly way, everyday social interactions where a kind word or act could have a transformative affect on others. Many of the original images in this book have been donated by the artists. The cover art was created and donated by award-winning author-illustrator Suzanne Del Rizzo. About the book: You've likely heard of the historic Apollo 13 moon landing. 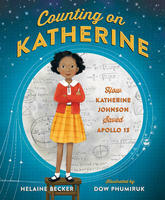 But do you know about the mathematical genius who made sure that Apollo 13 returned safely home? About the book: As soon as she arrives at school, Kitty knows there's trouble. “Smiling Miss Seabrooke should be here to meet me. But my teacher is missing and NOT here to greet me.” With no Miss Seabrooke, everyone should be sent home, right? But no! Kitty and her classmates line up as usual and walk into the school building. Kitty's worries build as she wonders how she will get through the day without her teacher. What will she do when her Thermos gets stuck or her jacket won't zip? Miss Seabrooke is the only one who can fix these things. Or is she? 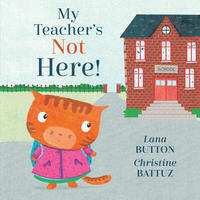 Author Lana Button perfectly captures the fears and uncertainties of a kindergartner dealing with her first substitute teacher. She also models a way to cope, as Kitty steps up to help the substitute—a “ginormously tall” giraffe named Mr. Omar—and discovers that sometimes change can be good. Button's playful and lively cadenced rhyming text, together with Christine Battuz's friendly illustrations of a full cast of animal characters at school, make this a terrific picture book for story time. It provides an excellent lead-in to prepare a class for their first substitute, or for a discussion about how it feels when life doesn't go as expected. A celebration of self-discovery and personal development, this book also makes a wonderful choice for character education lessons on kindness, empathy and perseverance. 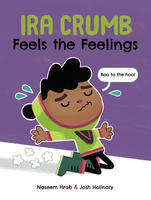 Educators will appreciate the heartfelt depiction of a young child's warm feelings for her teachers. About the book: When a classmate hurts his feelings by calling him a fairy, Brandon turns to his imagination and his two best friends, who rally to his side. Brandon informs his pals that he is now a zombie who will destroy his enemies with his tears. They respond by turning into a ghost and a vampire, ready to protect him from the mean words being thrown at him during recess. What starts as a bullying moment ends in a creative and empathetic exchange between the boys. 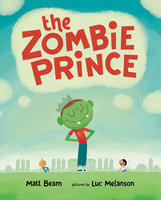 Brandon is able to smile again—especially when the friends come to a decision on his new nickname: the Zombie Prince. About the book: Ira and Malcolm are best friends: they always make each other laugh, always eat lunch together, and always play together. But one day, a disagreement about whether to play tag or hide-and-seek sees the suddenly über-popular Malcolm run off with a crowd of tag-loving kids—and Ira all alone. About the book: A middle-grade novel for fans of boarding school stories—with a dash of The Mysterious Benedict Society and a splash of Circus Mirandus! Seb has a solution, though: if he can somehow get into the Bonaventure Circus School in Montreal, Canada, he might be able to learn something valuable to help his father. Seb secretly writes to the Directrice (an old friend of his father's) and is accepted into the school. All he has to do is convince his father to send him away—oh, and keep his lack of talent a secret from all his teachers and classmates. Fortunately for him, he befriends two other students, who also don't seem to quite fit in. About the book: Josh, Mark, Angela, and their friends have been waiting for years to go on the class trip to Drumheller, Alberta. Now they are finally the oldest kids at Pleasant Valley grade school and can get excited about the overnight outing. But first, they have a lot of learn about what they'll see in the dinosaur capital of the world. And they have to raise money for all the pizza they are going to eat on the trip! Once they finally get going, a frightening encounter with a slithery serpent leads to an amazing discovery. One that might be even better than all-you-can-eat deep dish! About the book: Ten-year-old Caspar "Caz" Cadman loves baseball and has a great arm. He loves the sounds, the smells, the stats. When his family moves from Toronto to a suburb of Seattle, the first thing he does is try out for the local summer team, the Redburn Ravens. Even though Caz is thrilled when he makes the team, he worries because he has a big secret. No one knows that back in Toronto, Caz used to live life as a girl named Cassandra. And it's nobody's business. Caz will tell his new friends when he's ready. But when a player on a rival team starts snooping around, Caz's past is revealed, and Caz worries it will be Toronto all over again. Will Caz's teammates rally behind their star pitcher? Or will Caz be betrayed once more? About the book: Felix Knuttson, twelve, is an endearing kid with an incredible brain for trivia. His mom Astrid is loving but unreliable; she can't hold onto a job, or a home. When they lose their apartment in Vancouver, they move into a camper van, just for August, till Astrid finds a job. September comes, they're still in the van; Felix must keep "home" a secret and give a fake address in order to enroll in school. Luckily, he finds true friends. As the weeks pass and life becomes grim, he struggles not to let anyone know how precarious his situation is. When he gets to compete on a national quiz show, Felix is determined to win—the cash prize will bring them a home. Their luck is about to change! But what happens is not at all what Felix expected. About the book: Thirteen-year-old Jewel has been holding her life together ever since her older sister, Charmaine, suddenly left home with no forwarding address. She tried to find Charmaine once, but that only brought her family to the attention of the police. Now Jewel keeps her head down at school, looks after her special-needs brother as well as she can, tries to steer clear of her parents and their shady friends. Until one of her father’s friends comes into her bedroom at night, and finally Jewel understands why Charmaine had to leave home. Soon she is on the run herself, hiding out in a cabin in the country, terrified of being found, afraid that social services will force her to return to her family. When her food runs out, she returns to town where she chances upon a new place to live—the cupboard of the art room at school. Jewel carefully eases into her new life, avoiding the eye of teachers and caretakers, babysitting in the afternoons for extra cash. It turns out to be surprisingly easy to live under the radar when you have perfected the art of being almost invisible. That is, until Jewel’s classmates, Maya and Lily, discover her washing her hair in the girls’ washroom at school and making breakfast in the lunchroom. They are eager to help her, and they take her on as their project, sort of like the Barbie dolls that they rescue from yard sales and restore to sell on the internet. They find her places to sleep, fix her hair and wardrobe—even as they can’t quite understand her terror, or why she is so afraid of seeking adult help. But the girls help keep Jewel and her secret safe—until they no longer can. Told in the alternating voices of Maya and Jewel, this is a thought-provoking and moving story about loyalty, privilege, keeping secrets, and what it means to be a good friend. About the book: Jess and Sara Jean couldn’t be more different. He’s a loner with a criminal record; a Metis raised on the Reserve; the son of a residential school survivor. His time, when not spent with his mother and grandmother, is spent lighting fires to help him deal with the feelings he has over his father’s abandonment. She’s from nearby Edelburg, a small, conservative town. Abandoned by her mother, Sara Jean cares for her obese grandmother and writes to escape. She has been accepted to the University of Manitoba, but her obligation to her grandmother leaves her wondering what her future will hold: a life in Edelburg with her boyfriend and grandmother, or an adventure in a big city where she can escape her past and pursue her passion for writing. When Jess is found guilty of arson after lighting an abandoned building on fire, he’s ordered to complete 250 hours of community service. His first assignment? Cleaning out Sara Jean’s neglected garage. Sorting through boxes left by her grandfather, they discover that the secrets keeping their communities apart are the very things that may well bring them together. About the book: The Third Act deals with the intercultural struggles faced by Chinese students studying in North America in the present day and by an American playwright, Neil Peterson, caught up in the Nanjing Massacre of 1937. The contemporary story focuses on three Chinese friends (Tone, Pike, and Theresa) who grapple in their own ways with the pressure to succeed in an unfamiliar culture. The historical tale concerns Peterson's effort to find his literary voice and save the woman he loves amidst the chaos and horror of the fall of Nanjing in the Second Sino-Japanese War. The two stories are tied together by a play that Peterson attempted to write after his return to America. The students in the present day get caught up in putting on a performance of the missing third act of Peterson's play, and in doing so they are forced to confront their cultural and personal pasts and futures. About the book: After being attacked by a grizzly bear in the Rocky Mountains, seventeen-year-old Abby Hughes' facial scars are all she can think about, and all that she thinks anyone else can see when they look at her. After months of hiding out at home, returning to high school feels as daunting to Abby as enduring seven plastic surgeries. She knows it will be hard to show her new face to the world, but Abby doesn’t expect the level of rejection and hurt she receives, especially from people she thinks are her friends. When the taunts and bullying take a dangerous turn, she has to rediscover the strong, confident person beneath her skin. About the book: Abandoned on the steps of a Belgian convent as a baby, thirteen-year-old Grace has grown up among the nuns. But her days as a caretaker and companion for her older sister, Dotty, have come to a sad end with Dotty's death, and now Grace is living among the girls who attend the convent's boarding school—the very same girls who taunted and bullied her sister for having Down syndrome. Grace desperately wants to know who left her at the convent; she wants a family and to not feel alone in the world. When Grace finds a three-decades-old diary from the 1940s in the convent library, her interest in the history of the convent is also piqued. Terrible things happened in the little village of Tildonk, Belgium, when the Nazis arrived, and terrible things happened to the mysterious girl who wrote the diary. Unravelling the mystery of the diary ultimately means unravelling the secrets of Grace's life, which are more complicated than she ever imagined. Based on the author's own experiences at this very convent school, Finding Grace is an emotional look into the lives of girls in the strict world of convents, both in the 1940s and the 1970s, from the author of Silver Birch-shortlisted Jacob's Landing. About the book: When Clementine Liu arrives in New York City to study at the Parsons School of Design, she knows that she’s found her place. It isn’t long before she meets her fashionista soulmate, the loud and charismatic Jake, and Jonathan, a dreamy fashion photographer who turns her world upside down. About the book: Abby Furlowe has plans. Big plans. She's hot, she's popular, she's a cheerleader and she's going to break out of her small Texas town and make it big. Fame and fortune, adoration and accolades. It'll all be hers. But then she notices some spots on her skin. She writes them off as a rash, but things only get worse. She's tired all the time, her hands and feet are numb and her face starts to look like day-old pizza. By the time her seventeenth birthday rolls around, she's tried every cream and medication the doctors have thrown at her, but nothing works. When she falls doing a routine cheerleading stunt and slips into a coma, her mystery illness goes into overdrive and finally gets diagnosed: Hansen's Disease, aka leprosy. Abby is sent to a facility to recover and deal with this new reality. Her many misdiagnoses mean that some permanent damage has been done, and all of her plans suddenly come tumbling down. If she can't even wear high heels anymore, what is the point of living? Cheerleading is out the window, and she might not even make it to prom. PROM! But it's during this recovery that Abby has to learn to live with something even more difficult than Hansen's Disease. She's becoming aware of who she really was before and what her behavior was doing to others; now she's on the other side of the fence looking in, and she doesn't like what she sees. Darkly comic but ultimately touching, Confessions of a Teenage Leper is an ugly duckling tale with a surprising twist. A middle-grade novel for fans of boarding school stories -- with a dash of The Mysterious Benedict Society and a splash of Circus Mirandus! Ten-year-old Caspar "Caz" Cadman loves baseball and has a great arm. He loves the sounds, the smells, the stats. When his family moves from Toronto to a suburb of Seattle, the first thing he does is try out for the local summer team, the Redburn Ravens. Even though Caz is thrilled when he makes the team, he worries because he has a big secret. From beloved Governor General Literary Award--winning author Susin Nielsen comes a touching and funny middle-grade story about family, friendship and growing up when you're one step away from homelessness. After being attacked by a grizzly bear in the Rocky Mountains, seventeen-year-old Abby Hughes' facial scars are all she can think about, and all that she thinks anyone else can see when they look at her. After months of hiding out at home, returning to high school feels as daunting to Abby as enduring seven plastic surgeries. Cheerleading, mean girls, shopping . . . and leprosy? High school is about to get complicated. For fans of Before I Fall and Exit, Pursued By a Bear.